After creating a new schematic for PSoC 4200m, the next thing that I do is make a dependency to the components in the BLEInterface project. This gives me access to the BLEIOT component. 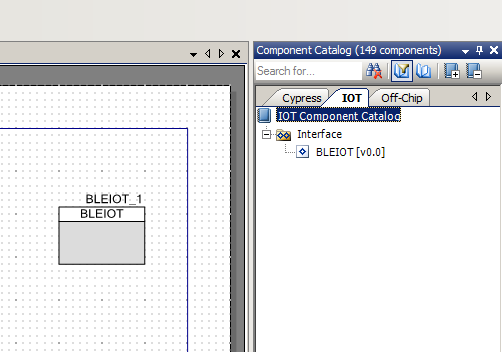 When I go to the component catalog I see the “IOT” and in that tab I find the IOT Tab with the BLEIOT component. 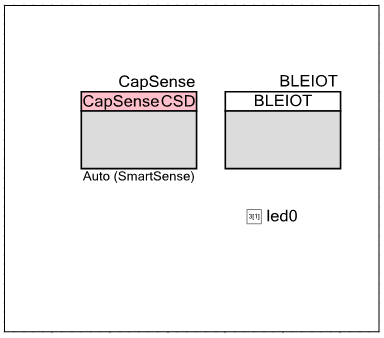 Now I add components for CapSense and the LED to get the final schematic. Now assign the Pins in the cydwr. 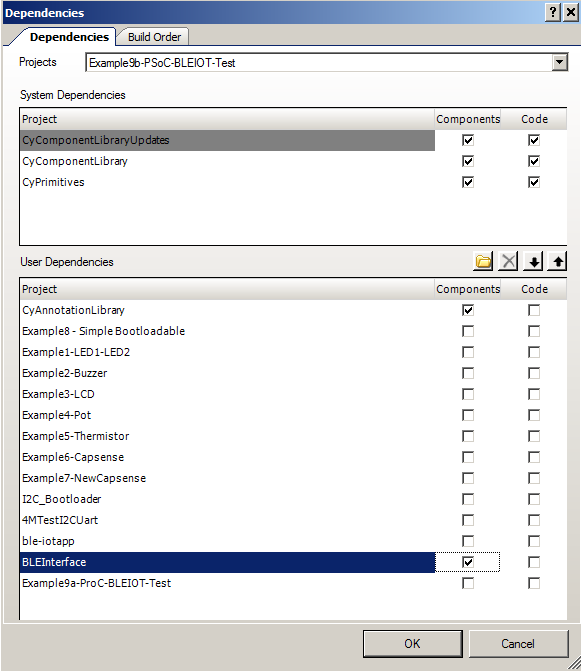 cd Example9a-ProC-BLEIOT-Test.cydsn/ cp ../Example9b-PSoC-BLEIOT-Test.cydsn/Generated_Source/PSoC4/BLEIOT_BLEIOT.* . After that I finish the schematic. First, add a UART Component to the schematic and call it BLEIOT_UART (so that it will match the code that was generated in the other project). Then add the bootloadable and the blue LED pin. 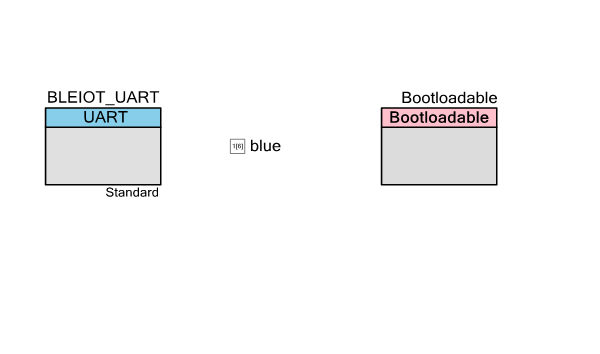 Don’t forget to configure the Bootloadable to link to the bootloader just like Example 8. Also you need to configure the UART to have a 32 byte software buffer. In the next post Ill show you the BLE Firmware.